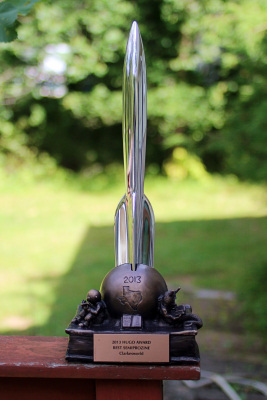 Close-up of the front of the 2013 Hugo Award base. 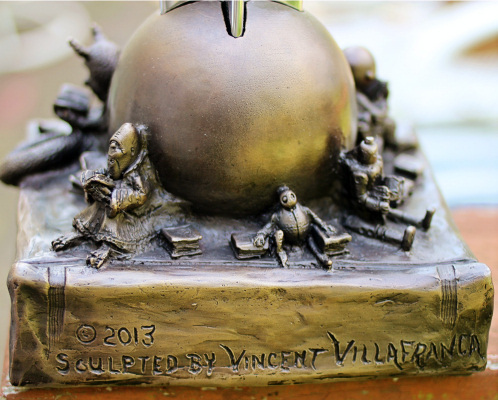 Close-up of the right side of the 2013 Hugo Award base. 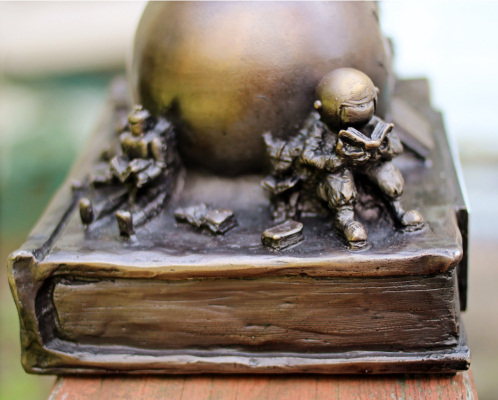 Close-up of the left side of the 2013 Hugo Award base. 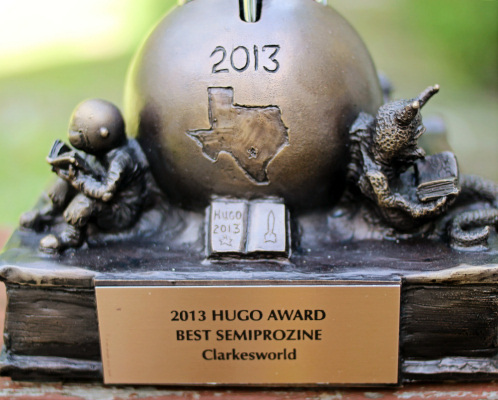 Close-up of the back of the 2013 Hugo Award base. 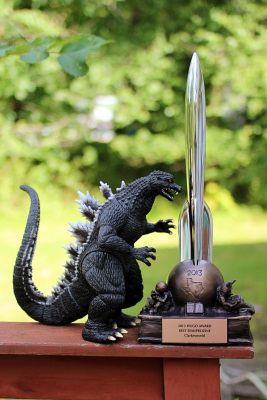 So pretty, Godzilla can’t keep his hands off it. 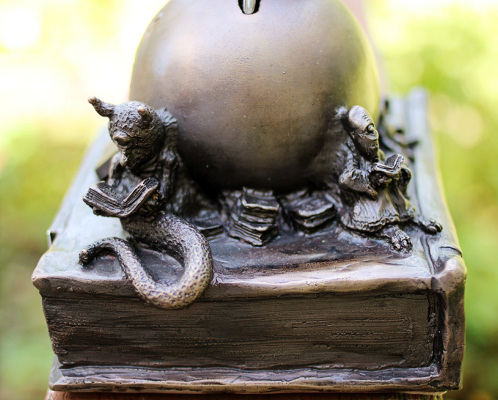 Safely at home. 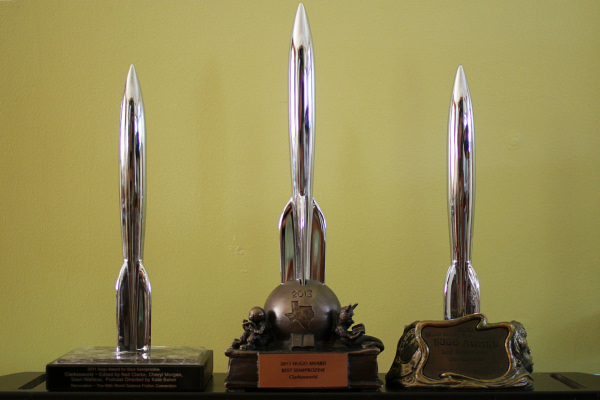 The 2013 Hugo for Best Semiprozine joins it’s family members from 2010 (right) and 2011 (left).